Lag putts – Put a tee in the ground 48 feet away. This is your target. Then put a tee in the ground 45 feet away and a tee in the ground 51 feet away. Also, put a tee in the ground that is three feet to the left of the target and three feet to the right of the target. Practice hitting putts to the tee that is 48 feet away. 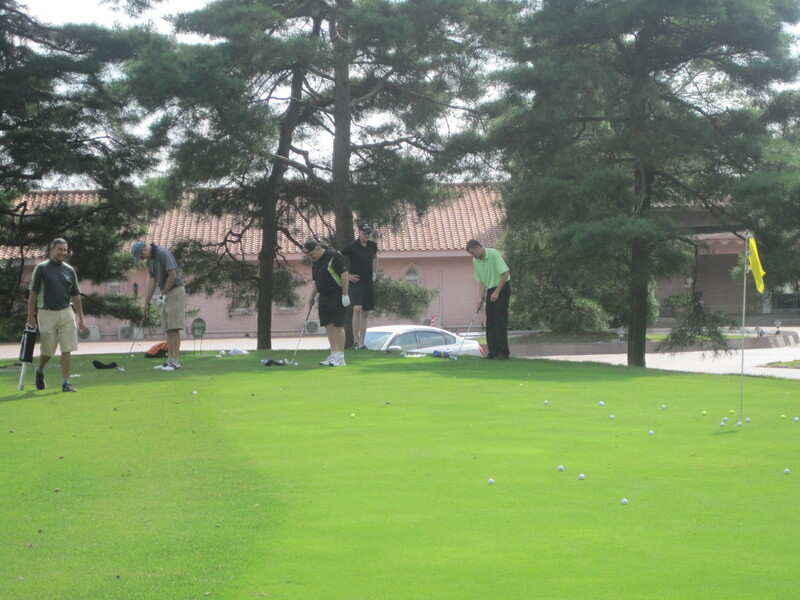 You should hit ten putts and your goal is to have each putt stop within the circle of tees around the target.